Dual Controlled Vehicles and Certified Instructors. Do you want to be an excellent driver on Canadian roads? Then you have come to the right place. At My Way Driving School Calgary, we help all those individuals who want to drive safely and confidently on the roads. Being Calgary's finest car driving school, it's our responsibility to make sure you drive safely every time you get behind the wheel. Our licensed professional instructors will help you pass your road test and get license to drive on Canadian roads. We offer more behind-the-wheel practical driving training along with comprehensive classroom training. Whether you are a teen driver or senior citizen, we have a program that focuses on you. Call Now for Car Driving Learning Program with our Certified Drivers..
My Way Academy Driving school is a reliable source for car driving education, theory driver training and Free tests practice sessions. Our driving instructors help you prepare for road permit test and license test. Our certified instructors have valid license, a clean driving background, no driving offense charges and passion for mentoring new drivers. Our courteous and friendly instructors give sufficient time to student. Your safety is our top priority. We have an entire fleet of vehicles equipped with every safety feature including passenger side breaks, airbags at front and side panels, GPS tracking system, ABS, traction control and more. My Way Academy Driving provides 'Drivers Education Courses' approved by Alberta Transportation. 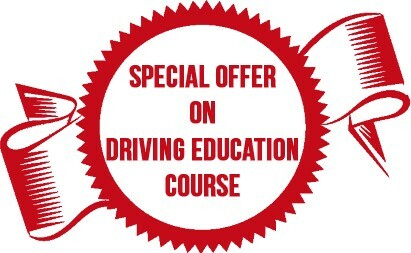 Avail these courses including insurance reduction certificate, practice exams for driving exam prep. We give more emphasis to defensive driving so you can maneuver easily out of tricky traffic with confidence. Our instructors will guide you about numerous high-speed safety dynamics helping you out on the highways. My Way Driving is an amazing driving school. The instructor made me feel so commutable. Would never had passed without him and honestly can't thank him enough. "I would recommend My Way Driving to anyone because it is a very professional driving school. They have knowledge on driving rules,regulations and all the test routes. I will always highly recommend them. So today this happened passed my driving test Finally...A big big thank you to My Way Driving for all the help, definitely couldn't have done it without their help. At My Way Driving School, our driving instructors in Calgary believe that every individual is different. That's why, we customize our courses to meet your requirements. We try to get the best out of our students. We allow you to learn driving hassle free at your own pace. Our professional instructors will make the entire driving process simple and pleasant for you. We offer a variety of schedules to fit your needs, feel free to discuss what time would best suit you. Contact Now to Know More About Our Car Driving School in Calgary.